You don't have to be at a ski resort to enjoy a gondola lift. In fact, starting in the fall of 2019, guests of Walt Disney World Resort will be able to hop on a gondola as a way to get around the park's grounds. 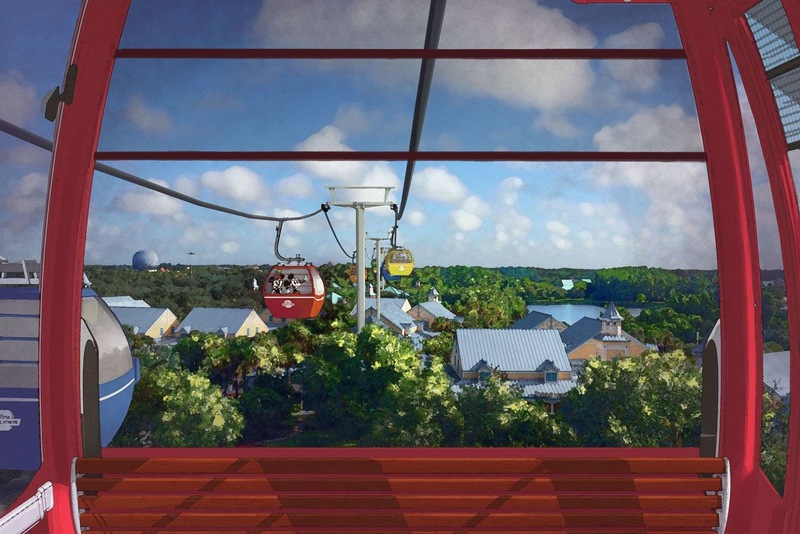 The so-called Disney Skyliner will consist of a system of "themed gondolas" for guest transportation, "[connecting] Disney’s Hollywood Studios and Epcot to four resort hotels - Disney’s Art of Animation Resort, Disney’s Pop Century Resort, and Disney’s Caribbean Beach Resort as well as the proposed 15th Disney Vacation Club property, Disney’s Riviera Resort," according to a post on the official DisneyParks Blog. In addition to being a speedy, stramlined way to navigate Disney's parks and resorts, the Disney Skyliner will also boast sweeping views from above, especially of signature Disney classics like Epcot's World Showcase. Take a peek at the Disney Skyliner below. Well, this news sure gave us Team Mickey and Minnie enthusiasts new reason to plan a trip to Orlando next year. Who's ready to soar through the skies of the Most Magical Place on Earth?